The family activity holiday specialist, Activities Abroad, provides the perfect holiday for families, with authentic experiences being the key to its success - and not a kids’ club in sight. New for this summer, the week-long Gorges du Verdon Adventure is a self-drive holiday based in France’s spectacular Alpes-de-Haute-Provence region – a picturesque natural adventure playground for families. Stay a short drive from the 700m-deep Gorges du Verdon, which is ideal for canyoning, white-water rafting, hiking and climbing. 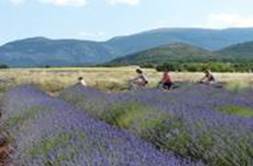 Alternatively, cycle amongst lavender fields and swim in the turquoise-blue Lac de Sainte-Croix. Departing 27 May, the price is from £775 pp, including seven nights’ B&B and two dinners. Flights/activities extra. Minimum age 12*. Alternative departure dates available in July and August 2017. The new week-long Magical Madeiran Adventure combines a myriad of activities. Based in the capital Funchal, island activities include whale and dolphin watching, a trip to Sao Vicente’s volcanic caves, swimming in the lava-formed saltwater pools of Porto Moniz, a boat trip along the coast to Machico and a Baia d’Abra nature reserve visit. There is also snorkelling with dolphins, sea kayaking, a scenic island tour by Jeep plus a trek through the emerald green forests of Pico das Pedras. Departing 27 May, the price is from £1,345 pp (adults) and £965 pp (children aged 8-11), including flights (London), transfers, seven nights’ B&B, five lunches, two dinners, guided activities and instructors. Minimum age 8*. Alternative departure dates available in July, August and October 2017. The family travel specialist’s Gozo Island Explorer trip is both inspirational and educational. 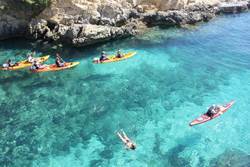 Activities include sea kayaking, climbing, abseiling,a guided boat tour, a visit to the tiny island of Comino, with an astonishingly blue lagoon perfect for snorkelling, and the opportunity to try Mini-B diving. Then explore Gozitan culture, and visit artisan producers, in the pretty stone town of Xaghra, home to pre-historic temples and caves. Departing 27 May, the price is from £1,355 per adult/£1,245 per child (aged 6-12) including flights (London), transfers, seven nights’ B&B, four lunches, four dinners, activities and guides. Minimum age 6*. Alternative departure dates available in July, August and October 2017. Based in Starigrad, 40km north of Zadar, the seven-night Colourful Croatia Adventure is an action-packed adventure for families who enjoy the great outdoors. Based in the heart of the Paklenica Riviera there are canyons, mountains and unspoilt fishing villages to explore. 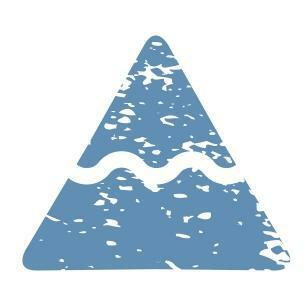 Optional activities include cycling, a river canoe safari, hiking, rock climbing, sea kayaking - plus there is time to relax. Departing 28 May, the price is from £1,020 pp (adults) and £970 pp (children aged 8-11), ‎including flights (London), transfers, seven nights’ B&B, four lunches and three dinners. Guided activities extra. Minimum age 8*. Alternative departure dates available on 21 May (from £895 per adult/£845 per child) and July and August 2017. Combining Tripoli and Nafplio in the Central and North East Peloponnese, An Active Greek Odyssey makes for the perfect family trip. Explore Tripoli, the region’s capital during the Ottoman Empire, go river rafting, cycling, hiking and kayaking, explore hidden caves and visit historic monasteries. Spend the last two days by the beach near the handsome port of Nafplio with its cobbled streets, sophisticated shops and harbourside restaurants. Departing 27 May, the price is from £1,120 pp including flights (London), transfers, seven nights’ B&B, two lunches, welcome dinner, guided activities and instructors. Minimum age 7*. Alternative departure dates available in July, August and October 2017.